We moved to our current location in 2010 where we have over 3000sqft of space. 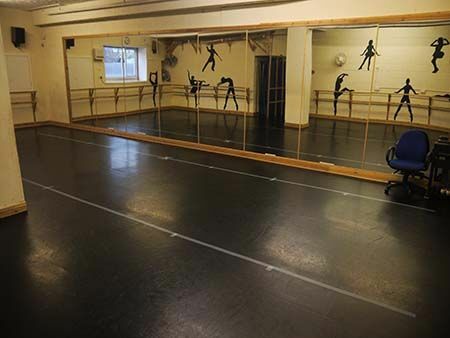 We have a large reception, changing rooms and 2 large studios with specialised flooring. The studio is accessible from the car park to the right hand side of the Standish Centre. You will see our entrance under the canopy to the rear of the car park. There is additional parking to the rear of the building or in the surrounding area. We have a large reception, approx 30sqm, which has chairs and tables for parents to wait for their children during lessons. In the summer, there is a covered canopy area outside our studio on the enclosed terraced area. Children will leave Studio 1 directly in to the Reception area, so please have their belongings ready when their lessons end. 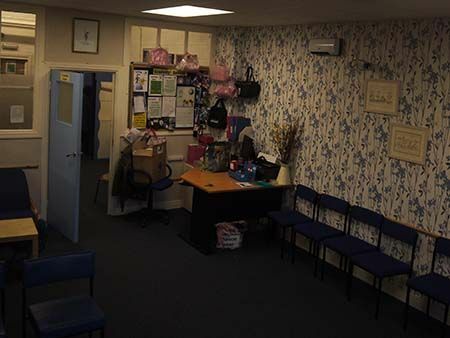 The changing room is approx 40sqm and contains three changing cubicles, as well as benches and tables for the pupils to prepare for their lessons. 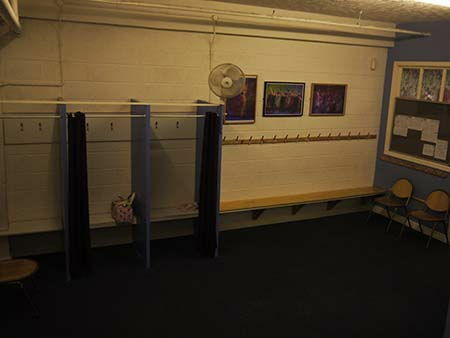 It is from the changing rooms that pupils gain access to the toilets, which are in the main building. As the main building is very large, we will have strict procedures for anyone leaving the studio to go to the toilet, these must be adhered to for your child’s safety. In the case of any emergency, we need to know where all our pupils are located. Both the Studios are accessible from the changing room. There is also a pin board for any parents who want to sell / exchange any of their dance attire. This is our main studio and will be used for Free work, show work and most RAD examinations. It is a huge dance space of over 120sqm with mirrors along one full wall and barres on the other three walls and a specialist vinyl dance floor. This is the long studio, it is nearly 13m long, but it is narrower than the main studio 1. It has a floor space of nearly 100sqm and even more mirrors than Studio 1, with mirrors all along the longest wall. Their are barres on the other three walls and a specialist vinyl dance floor. 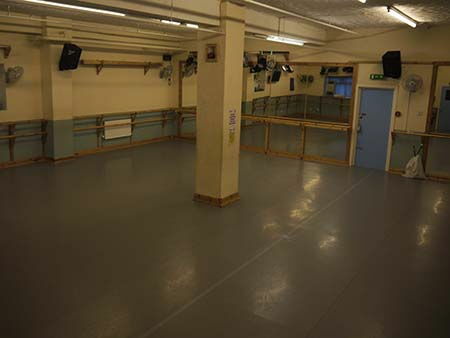 This studio will be used mainly for Jazz, Modern and Tap examination classes.